It’s very easy to use. Just pop the Cranial Probe Sensor on your head to measure your motivation levels that day or week. You can then decide what to do with this information. Ask yourself: Why is my motivation like this today? What does this mean for what I do with my English learning?Understanding the factors that motivate or discourage you is a strength because you may be able to avoid things that lower motivation and welcome things that raise it. Also, there are practical considerations about what to do if your motivation is low or high. If low, then maybe you should just choose something non-challenging or something you enjoy doing – watching a short film on YouTube, for example. Perhaps you could leave English altogether today and try again tomorrow. On the other hand, if your motivation is high, then maybe it0s time to tackle that tricky exam practice paper that you’ve been putting off for the last few days. 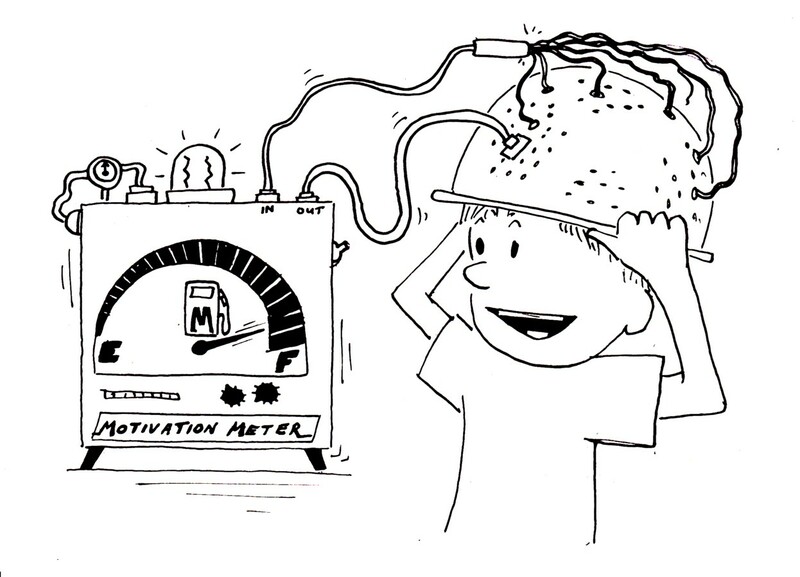 So the motivation meter is a great first step in monitoring and maintaining motivation. It accompanies the S.M.A.R.T. goals Evaluationator that we introduced last week. Next week we bring you the Language Life Convertinator! Thanks for sharing useful post. Appreciate your work.